“It’s been a wonderful time on this run of shows, performing ‘Operation: Mindcrime’ in its entirety. The Portland show will be the second to last on this tour. We’ll end in Seattle as we have done on recent tours,” reports an energetic Geoff Tate as he chats with Sleaze Roxx about his current tour. 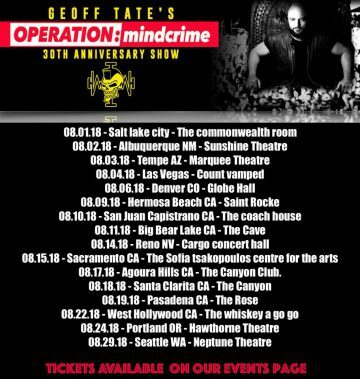 Tate and his band Operation: Mindcrime are performing the iconic album which is the namesake for the band, which turned 30 this past May. That’s right, it’s 30. “I honestly don’t pay attention to what others are doing. I do what I do, I do what I like,” says Tate when asked about his contemporaries’ lack of new of new material — essentially making them ‘legacy acts.’ Enjoy the conversation with Geoff as he talks about the iconic album and the tour behind it and what happens once the tour winds down. 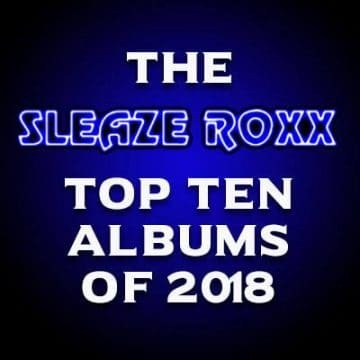 Sleaze Roxx: In one of our previous conversations, you spoke about Operation: Mindcrime [the band] and how you felt that it would have a revolving door of players that would step in when others stepped away to work on other things. Is that still pretty much the vision at this point? Sleaze Roxx: Anyone that has followed your career recently knows that you’ve issued ‘The Key’ , ‘Resurrection’  and ‘The New Reality’ , which are part of a massive concept. You toured behind each album and now you have shifted gears and are looking back at your past and celebrating it. Is it refreshing to do this tour? 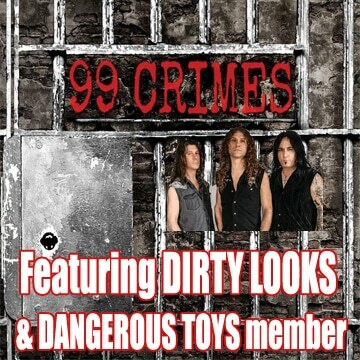 Sleaze Roxx: The tour wraps up next week. What happens from there? I imagine you’ll have some downtime? Then what happens after that? Writing a new record? 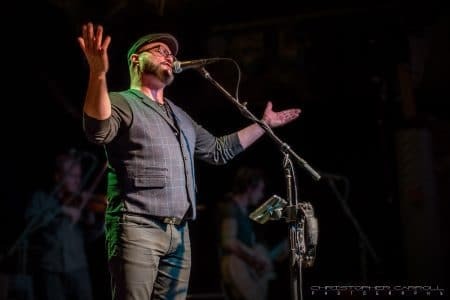 Geoff Tate: Well, taking September completely off. I love the fall, I find that time of the year very inspirational and I get to do some stuff that I couldn’t otherwise do because I’m touring. On the 5th of October, I’m back to Europe. The band Bonfire have put together a show that will feature guest singers and musicians and I will be part of that show. That show will tour around Europe for the month of October and November. In December, I’ll be doing some one-off shows in the U.K., then off January and February. In March, I start a completely different odyssey, something that I never done before. I’m touring as a guest vocalist with Avantasia. They’ll have a new album out that I’m guesting on. That will go through March-May of next year. We’re currently figuring out what we’re doing in June of 2019. I’ve got a busy schedule [laughs]! Sleaze Roxx: Switching gears, when shooting the footage for the dramatizations with the actors for the live setting and for the music videos, how much footage did you guys film? Geoff Tate: Quite a bit actually. We used most of it for the music videos and footage that we used in the live setting. It was planned out. We were working with a director that was very conscious of time and money. He was great at getting the right shots and utilizing resources in the right way. The director’s name is Marc Reshovsky. I haven’t seen him since that footage was shot. It’s funny in this life I’m in, there’s people that I’ve been in contact with on a weekly basis for the past 30 years and then there’s people that are in and out of your life. You meet them, you talk to them a couple times and you never see or talk to them again. It’s weird. Sleaze Roxx: When you look back at ‘Operation: Mindcrime’, you assembled a hell of a team, from producer Peter Collins to engineers, Jim Barton and Paul Northfield. That album was loaded! That crew helped take a great record to the next level. 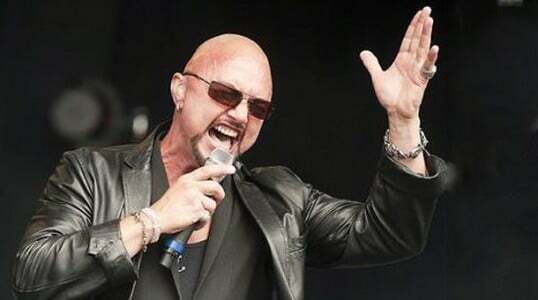 Geoff Tate: [Laughs] I can’t argue with you there [laughs]! In this business, it’s all in who you know. Someone knows someone, a message is relayed to them by someone you know and you find out that they would like to meet with you to talk about collaborating. We met Peter through Q-Prime. Cliff Bernstein knew him from his A&R work with Rush. Cliff was very close to Geddy Lee and he highly recommended Peter to produce us. We had a meeting with Peter and he, Chris [DeGarmo] and I really clicked. The thing I really appreciated about Peter was that he was really easy to talk to and we had a lot of brainstorming sessions with him. He was great in facilitating these discussions and was great at nursing them along. He was great at ‘pushing the ball a little further,’ if you know what I mean? He was great at working around the constant ‘brake lights’ that happen during the recording process [laughs]! There was always something halting the process and he was great at dealing with those things. I refer to them as ‘brake lights’ because they halt everything [laughs]! Peter brought James Barton on board because he worked with him previously on another record. He was right! We had started out with Paul Northfield who had also worked with Peter on Rush. You see what I was talking about earlier, about the who ‘people who know people thing [laughs]? Sleaze Roxx: How did Michael Kamen get involved? Was it one of those ‘people who know people,’ scenarios? Geoff Tate: We actually had already started working with Michael Kaman even before we started working with Peter Collins. Michael had just come off working with Pink Floyd, he worked on ‘The Final Cut’ and ‘The Wall’ before that. We met Michael through James Guthrie who produced ‘The Warning.’ James had worked as an engineer on ‘The Wall’ and ‘The Final Cut’ as well. We were having a conversation about a song that had an arrangement that had orchestration and James listened to it and suggested we get a real orchestra for it. We were like “It would be great to get an orchestra on this, but can we afford it? !” James answered, “Probably not, but I know a guy…” [laughs]. James was certain that the guy would like the song and would probably give us a break. That guy was Michael Kaman. He came down and listened to the song. I played it for him on keyboards. He left and we didn’t hear from him for like a week, possibly even two weeks! Then one day, Peter walks in and says, “Okay, I just got off the phone with Michael Kaman and we just booked a recording session to record orchestrations for a couple songs.” We were ecstatic and ‘high fiving’ one another [laughs]! Peter then says, “As an added bonus cherry on the sundae, it’ll be at Abbey Road Studios!” Then there was silence [laughs]! You could hear angels singing from above [laughs]! So there we were on our first trip to London, with a guy that produced and engineered Pink Floyd at Abbey Road Studios and we’re watching the recording of the orchestration of our songs?! We were in disbelief [laughs]! Sleaze Roxx: In the past, we’ve talked about how great It would be to have ‘Operation: Mindcrime’ as a feature film. If it’s 1988 and the film is a reality, who would Geoff Tate cast as Dr. X, Nikki and Sister Mary? 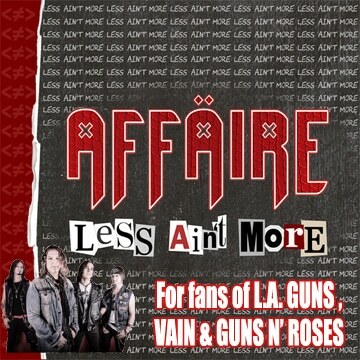 Geoff Tate: Oh, wow! That’s tough [laughs]! I can barely remember 1988 [laughs]! There’s this Austrian actor named Max Von Sydow whose features I had used as the physical outline of Dr. X. I love his acting and the guy on the album cover is modeled after Max so I’d have to cast him. Nikki was such a tragic character, oh my god! I think I would have gotten Mickey Rourke in 1988. He’s a fine actor and would have done a wonderful job. The Sister Mary role in 1988 would have gone to Winona Ryder, she’s done stuff where she’s got this ‘heroin chic’ thing about her. I have seen her in a lot of roles where she’s really pushing herself as an actor. Sleaze Roxx: Would you like to comment on the passing of Aretha Franklin? Which ironically is the day that Elvis passed and also happens to be Madonna’s 60th birthday. 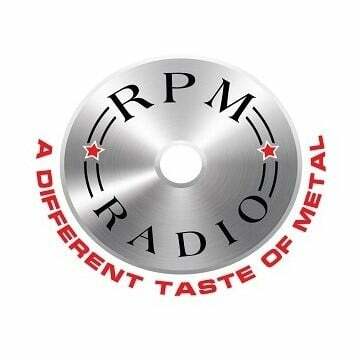 And Steve Perry is back, he was on Eddie Trunk’s Sirius show yesterday. 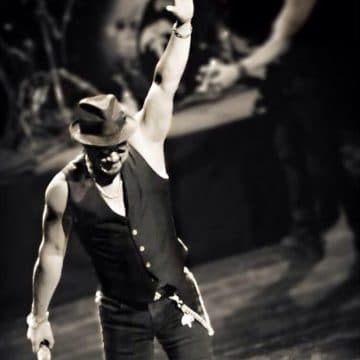 Geoff Tate: It’s always a wonderful thing when Madonna’s birthday comes along [laughs]! I’m a huge fan of hers. She’s really pushed the envelope. Aretha passed? I was not aware. I did know she was hospitalized and very ill. Her title as “The Queen of Soul” says it all. She was a fantastic singer. I met her a few times and she was so gracious. Whenever I’ve met older musicians, I always found it interesting how they handle themselves. There’s this maturity that’s developed over time of encountering thousands and thousands of people. This was also evident with Aretha. She didn’t know me from the guy that works at 7-11. She gave me her undivided attention as I gushed my admiration of her and her music. That was really wonderful of her. I will cherish that time she gave me. What a powerhouse singer. My daughter Emily is a singer, she has band called Till Death Do Us Part [currently supporting this tour]. She’s the only one that has followed a career in music. When she was a kid, she said “Dad I want to listen to all of your music!” I was flattered. My daughter is interested in my work! I asked “What go you interested in Queensrÿche?” She answered “Not that dad, your record collection” [laughs]! She started at Abba and went through Zappa. I must have in the area of like 10,000 albums. Aretha Franklin is one of those singers that she really gravitated to. It was interesting that she picked her out of all those singers. I’m glad Steve Perry is back. I didn’t know he is releasing new music. I’m a big fan of him and Journey. Here’s something you’ll appreciate, Paul Northfield produced Steve’s last solo record [‘For The Love Of Strange Medicine’]. It’s a small world, isn’t it [laughs]?